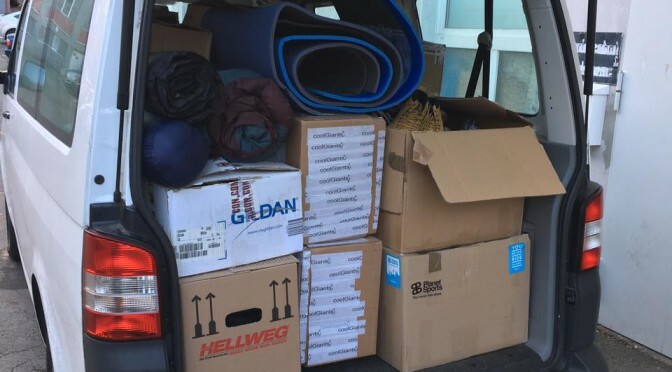 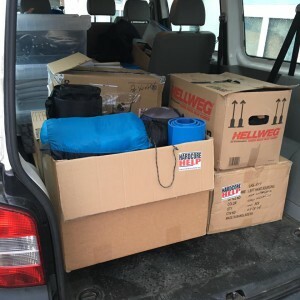 Over the last weeks we did several deliveries with winter clothes, shoes, sleeping bags and other useful stuff to support homeless people and refugees. 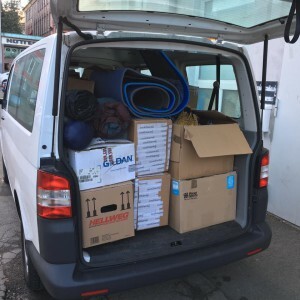 Delivery to Berlin to support „Moabit Hilf“, organization supporting refugees in Berlin. 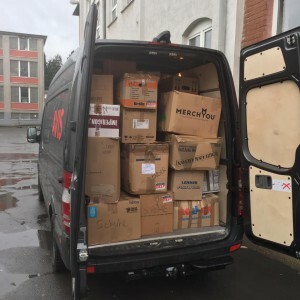 Delivery to Hamburg for „Mitternachtbus“, organization supporting homeless people in Hamburg.